AMMONNEWS - A preparatory meeting co-chaired by Secretary-General of the Ministry of Industry, Trade and Supply, Yousuf Shamali, and Kuwait's Assistant Foreign Minister for Arab Affairs, Fahd Awadi, was held on Sunday to discuss ways of boosting Jordanian-Kuwaiti cooperation. The preparatory meeting comes ahead of the Jordanian-Kuwaiti Joint Higher Committee meeting that will take place next Tuesday with the attendance of Foreign Affairs Minister, Ayman Safadi, and his Kuwaiti counterpart, Sheikh Sabah Al-Khalid Al-Hamad Al-Sabah. The two-day meeting will tackle bilateral cooperation in all fields to enhance relations, boost trade and economic exchange, encourage mutual investments, and increase cooperation prospects between the two countries' private sectors. Shamali said the total trade exchange between the two countries in 2017 stood at $400 million, an increase of 4.3 percent compared to 2016. 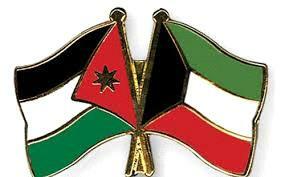 Jordanian exports amounted to $342 million, while imports were at $57 million. The total trade exchange between the two countries during the first 11 months of 2018 amounted to about $273 million, of which Jordanian exports stood at $228 million, while imports amounted to $41 million. He added that the public and private sectors must work together to increase these figures especially because of the great potential available to the business sector in both countries after the signing of the Agreement to Facilitate and Develop Trade among Arab States and the bilateral Free Trade Pact. "We look forward to discussing bilateral relations in several areas of cooperation through the finalization of draft agreements and memoranda of understanding between the two sides and the development of practical mechanisms to increase Kuwaiti investments in Jordan," the secretary general stated. Awadi pointed to the Jordanian-Kuwaiti distinguished relations in various fields, stating that these relations are witnessing a remarkable development. He pointed to the importance of bilateral economic and trade meetings to discuss many issues of mutual interest that would have a positive affect on the two countries. During the meeting, the committee focused on ways to boost cooperation in the economic, trade, investment, industrial fields in terms of delegations visiting from both sides and exchange of expertise. The committee also reviewed the obstacles Jordan and Kuwait face regarding imported and exported goods, automated linking and electronic exchange of information between the two countries' customs administrations.